Everywhere you look things are on sale. You can buy something for half off or 40% off and even sometimes you can buy one of something and get another one for free. According to author Mark Ellwood these are all of the classifications for what is a our newly discounted world. A world that is filled with shopping and the deals that go with them. 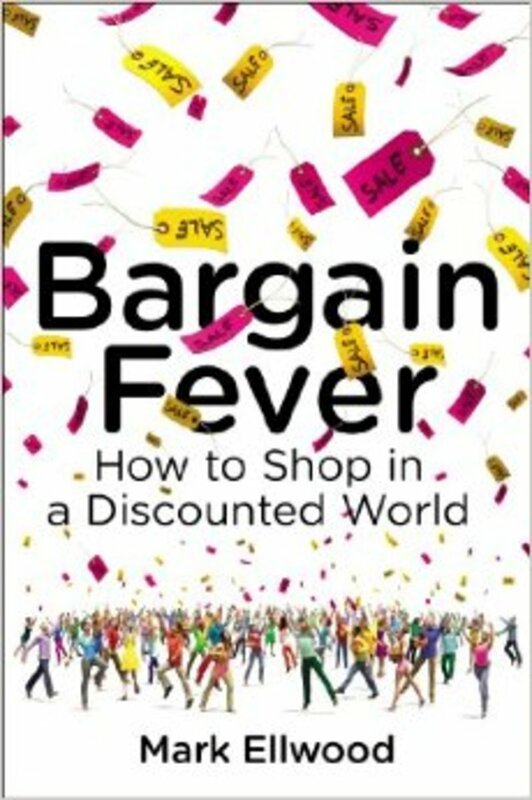 In his new book, Bargain Fever: How to Shop in a Discounted World Mark gives us insight to everything we all need to survive the new world of shopping and sales. A trend that has evolved over the past 10 years where "sales of sales have more than doubled in a decade." During a recent interview Mark gave us some insight into modern shopper as well as provided us with some tips to survive our bargain basement world. Momtrends: Why do people go crazy for deals? Mark Ellwood: We are genetically pre-programmed to respond to bargains. Dopamine is a well known chemical that surges through our brains, but most people misunderstand its mission. It isn&apos;t Feelgood Juice but rather Bonus Juice. If you order a slice of chocolate cake at a cafe, dopamine won&apos;t surge, but if you are surprised with a slice for your birthday - cue the fountains of dopamine. It codes a positive response to getting more than you, ahem, bargained for. Every time we see a sale sign, it&apos;s a similar situation: that 50% OFF, a more-for-less cue, triggers a squirt of dopamine. That&apos;s why I call it buyagra. Momtrends: How would you classify a bargain addict? Mark: Technically, I&apos;d need to swab his or her cheek and run a DNA analysis - one in four people has a harmless genetic quirk that means the bargain hormone dopamine is almost irresistible to them. That gene defect makes them into unquenchable bargain seekers. Personally, I&apos;d open their closet. If more than 20% of the clothes hanging there still have the Neiman Marcus Last Call tags dangling from the sleeve, I think it&apos;s fairly certain he or she has passed from bargain fever into addiction. 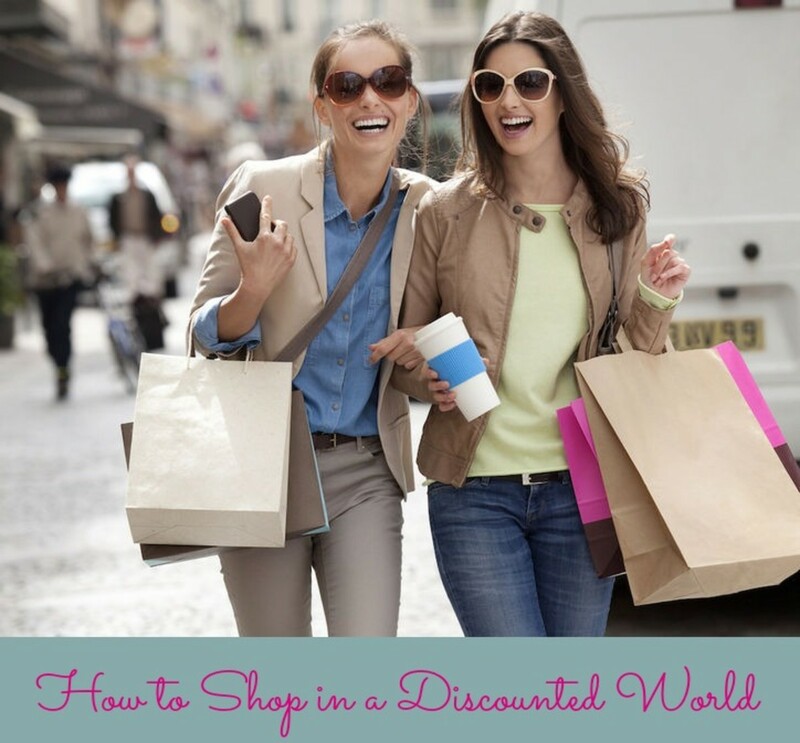 Momtrends: What are some classifications of our new discounted world? Mark: The new discounted world has created a new mindset among people: I love how wrangling a bargain is no longer a mark of indigence but intelligence. Think how Burlington dubs those shopping holdalls &apos;Brag Bags&apos; and how Sherri Shepherd, who said If I go to TJ Maxx and they take 30% off, I say Thank You Lord!" despite making a reported annual salary of $1.5m and having a total net worth north of $10m. Momtrends: When can bargain shopping actually be the worse way to shop? which are phrases that have no legal meaning. Outlet malls are misleading in other ways, too. In fact, sale periods at a full price store will usually best the markdowns at an outlet, where the standard "discount" is 30%. Most presale periods at Bloomingdales or Neiman Marcus - when regular customers are invited to shop at a discounted price the week before the actual sale begins - offer 40% off true must-have merchandise. It&apos;s easy enough to access that secret sale, too: befriend a floorwalker and stay loyal when buying to just him or her. They will reward even sporadically spending regulars with an invitation. As a non sequitur, I truly love the blog The Bad Deal [www.thebaddeal.com], where a restaurant critic in New York made it his mission to unearth bad Groupon restaurant offers and silly promotions for meals. It worked so well, he&apos;s launched a sister site: the Price Hike [www.thepricehike.com] which tracks prices in much the same way. Bookmark them both for a sassy take on some of the silliness around sales. Momtrends: How has shopping changed over the last decade? Mark:Shopping is, quite simply, more fun than ever. As deals and discounts have accelerated over that period, there&apos;s never been a better time to be a shopper. There are too many sellers (stores) and not enough buyers (consumers) so make the most of holding all the cards. Put another way, in the 1980s, shoppers were the suitors and the stores the Bachelorette. These days, it&apos;s the other way round. We received a sample of the book for review.